For International News in countries (or organizations) whose names begin with A-E, click here. For International News in countries (or organizations) whose names begin with N - Z, click here. Here are past items from my webpages that carried news from our psychodrama colleagues internationally. (For news of the Federation of European Training Programs (FEPTO), see Europe, at the bottom of A-E. Note news recently from Korea! Please, let me know what is happening in your country, so we all can become informed. Please see my comments and get ideas as to what to send me by reading my associated website, Survey of International Developments. TEP, got his doctoral dissertation accepted. It was about Sarte and existentialism. Juhani Viherlahti (email: viherlahti@guiart.fi ) writes in June, 2003: There are many psychodrama activities here. The biggest organization is Suomen Psykodraamayhdistys ry (Finnish Psychodrama Association), established 1983. Our present chairperson is Ms Merja Tuomisto, and we have 210 members. These include qualified psychodrama instructors, action method instructor (a lower degree), and students. We are planning to host the next FEPTO 2004 conference here in Helsinki (capital) area. In a few months we hope to have a web page that includes information in English. Another organization, established in 1999, is the Morenolaisen psykodraaman kouluttajayhdistys ry (MOPSI) (Educational Asscociation of Morenian psychodrama), with its chairperson Ms Sirkku Aitolehti. It is a group of eight trainers, who consider training issues. We also have six Playback Theatre groups. A good many businesses in Finland use psychodrama in their management training and other processes. Georgia (The Republic south of Russia, not the state in the USA): In February, 2003, Maria Kapanadze (email: hotsilence9@hotmail.com ) writes: While we have no special psychodrama association, we do have a small general psychotherapy society with about 40 members. We are making some contacts with colleagues in Russia and elsewhere. Only a few people are actually doing psychodrama–still in training though, and supervised by myself and also Nino Japaridze (japhani@yahoo.com), and Nino Dumbadze, who works with children. Also, there are several psychotherapists training in related fields, such as Gestalt therapy, Psychosynthesis, Transactional Analysis, NLP, etc. There are a fair number of students who seem interested in psychodrama from several different universities and programs in Tiblisi (our country's capital city). Our students are reading the classical textbook by Grete Leutz (in Germany), and also Holmes & Karp's anthology, Psychodrama, Inspiration and Technique. Also, the books of Peter Felix Kellermann, David Kipper, Hilarion Petzold (German, 1978); and have assembled and use techniques by Klaus W. Vopel, Elaine Sachnoff, Augusto.Boal, and some mentioned by Moreno. We have other various articles (translated by Vladimir Romek of Rostov-on-Don, in southern Russia), Blatner's articles from his website, Kate Kirk's paper on psycho-oncology, Eberhard Scheiffele's writings about dream work, and other new articles and investigations, commenced by Romek and his colleagues. One colleague here is applying psychodrama with top fashion models as a psycho-corrective therapy. We are seeking other kinds of collaborative projects. We are also planning to bring psychodrama to a psychology conference planned for next year. 1. Enrique Stola plans to make workshops here on sociopsychodrama of violence for 4 days in September-October this year. 2. Currently, we're discussing some priorities for psychodrama course development with Ekaterina Mikhailova of Russia and plan to participate in Tempus grant project. 3. We plan to form psychodrama association/ or psychodrama section in Georgia Group Psychologists and Psychotherapists Association. Also we've gained some books for our library. Tbilisi S.-S. Orbeliani Pedagogical University- educational module on group frame of reference in occupational therapy /ENOTHE program/ with street children. 5. Spheres of Application include (a) With Children; (b) Center for Psychosocial Aid; (c) Georgia Psychologists and Psychotherapists Association; (d) Georgia Occupational Therapists Association (using group frame of reference with children and adolescents with disabilities, refugees, street children); (e) Group psychotherapists, who work privately; (f) Psychologists, working in schools; (g) With Adults; (h) National Oncology Clinic (but there is no permanently existed/scheduled service); (h).Georgia Psychologists and Psychotherapists Association; (i) Georgia Occupational Therapists Association (using group frame of reference with parents of children with disabilities, elderly); (j) Psychiatry department. Research: 1 sociopsychodrama issues- Nino Japharidze; 2. team work. 3. Caucasian Region: I know that there are persons in Baku, who use Augusto Boal's method. I'll send you their names lately as well as about situation in Yerevan. www.psychodrama-netz.de in cooperation with the Deutscher Fachverband für Psychodrama (DFP e.V.). In this platform are listed Best Practice examples, presentations and seminar papers, information about new literature and the further education of the German Instituts. Alas, it's in German, but it shows how much good work is happening there. 2006: Ulrike Fangauf, one of the editors of the new German psychodrama journal, responds to my questions about the state of the art in her country. She writes: We have a national organization, the DFP (Deutscher Fachverband Fuer Psychodrama). In our journal, the ten most important institutes are listed. I estimate that there are between 1 and 6 groups in training in each institute at any one time, with about 8-12 students in each group.We have different tracks in some institutes: (1) therapy; (2) Management training; (3) Psychodrama with children; and (4) Psychodrama in therapy of drug-addiction. There is a larger organization, also, the DAGG (Deutscher Arbeitkreis Fuer Gruppentherapie Und Gruppendynamik), which includes other types of Group therapy. Our psychodrama community now has the Zeitschrift Fuer Psychodrama Und Soziometrie which is published as a glossy journal (Zeitschrift) twice a year. Also, we have a website: : www.morenoistitut.de , www.psychodrama-deutschland.de but they are in German. I'm in contact with the Playback troupe company of Daniel Feldhendler and Marlies Arping - we are psychodramatists who do playback once a month. At present, the most widely used books in training seem to be (1) Reinhard Kruger: Kreative Interaktion; (2) Ferdinand Buer: Moreno's Therapeutische Philosophie; and (though it may be out of print, still the classic by Gretel Leutz: Psychodrama. - 1980 The German Medical Board develops a curriculum for 100 double hours of psychodrama to enrich its curriculum "psychotherapy" for practicing physicians. For those psychodramatists who are able to read german language it might be interesting, that a German translation of Moreno's abridged Autobiography is available, published by inScenario publishers, Munich (Germany). It includes several rare pictures and an epilogue by Prof. Rene Marineau, Moreno's Biographer. Also the website www.inScenario.de might be valuable for those psychodramatists interested in the rich german & austrian psychodrama literature (at the momement there are more than 50 titels available, not mentioned related fields like bibliodrama, playback theater etc.) It provides an online-bookshop and some other potential useful pages. Greece: "Kostas" Konstaninos Letsios < letsiosk@hotmail.com > wrote that in June, 2002, Max Clayton offered a well-received psychodrama workshop in Athens, with 27 participants. Plans are to continue this collaboration. We are building up psychodrama in Athens and any help coming from you would be very helpful and welcome. February, 2004: Dr. Kostas Letsios (email: kostas.letsios@psychodrama.gr ) has a website: www.psychodrama.gr, and www.greekspychodrama.org, which should offer information in both English and in Greek. There are two movements, one in Thessaloniki and ours in Athens, which I have organized. We have 12 trainees who are completing their training in 2004 (and accreditation) trained mainly by Max Clayton and also by me and other trainers from Europe and Australia. Max Clayton mainly influences our movement and I consider myself his student. Until now I was focused on the training of this first group and also on my training as a trainer. For 2004 I intend to start the training of a new training group of about 15 trainees, as this movement is gradually becoming known and even more people are interested to be trained in psychodrama. From now on, we are also interested to link with other psychodramatic movements in other counties. 2005 (March): Natassa Karapostoli <natasag@ath.forthnet.gr> writes: The Institute of Psychodrama and Sociotherapy is a training department of the Open Psychotherapy Centre, Athens (OPC) which was founded in 1980 and provides both therapeutic and training activities. It is an autonomous, self-sufficient and non profit psychotherapy day center, which is not financial supported by any organization inside or outside Greece. The therapeutic activities are adressed to individuals, couples or families who face any kind of psychological problem, mostly severe psychiatric disorders. The staff of the Centre is approximately 70 persons (psychiatrists, psychologists, social workers, occupational therapists) who apart their basic professional identity are also psychotherapists (either Group Analysts or Pychodramatists-Sociotherapists or Family Therapists). The average number of clients per month is 520 persons. The training activities include Introductory Seminars (average number of trainees 230 per year) and Post Graduate Trainings in Group Analysis, Psychodrama-Sociotherapy, Family Therapy and Psychological Assesement (average number of trainees 60). The Institute of Psychodrama and Sociotherapy is 20 years old (1985) and provides a four year post-graduate training. Individuals from the field of mental health, education and organizations who have completed their university studies are eligible to apply. The training is materialized through the participation of students into a Training Community, comprised of groups of different size and purpose, such as Personal Therapy (minimum 600 hours), Clinical Experience (min. 700 hours), Theoretical Seminars (min. 460 hours), Supervision of Psychotherapeutic Activity (min. 250 hours) and other communal and administrative activities. The focus of our training is on Sociotherapy-Therapeutic Community and Group Analytic Psychodrama. The Institute was founded by trained Group Analysts and since some of them had already been familiar with Psychodrama from their university studies (France and England) they introduced psychodrama in Greece. The Director of the Training -Research Department of OPC is Dr. Ioannis K. Tsegos, Psychiatrist and Group Analyst. I am an Occupational Therapist and Family Therapist and coordinator of the Training. Untill now 35 Sociotherapists-Psychodramatits have graduated, working mostly in the mental health field (hospiatals, day centres, Therapeutic Communities, private practice e.tc.) or education (high schools e.t.c.) and 15 students are under training at the time. We are members of the Association of Therapeutic Communities, the National Organization of Psychotherapy of Greece ( member of the European Association of Psychotherapy) and since last year of FEPTO. Since I am also the treasurer of the National Organization for Psychotherapy of Greece, where almost all the Institutes providing a four year training (at least ) according specified standards participate, I do not know of any other Institute for Psychodrama except " FILYRA" at Thessaloniki with whom we have been in conduct, but they are not yet a member of the National Organization (www.nopg.gr ). You could visit our site www.opc.gr for more information. Blatner's books are part of our theoretical seminars. The Institute of Psychodrama and Sociotherapy is organising a workshop on April the 19th at Ioannina city on "Psychodrama and Sociotherapeutic Activities". Language will be Greek. therapists, organizational consultants, health professionals, educators, students, theologists, priests will have the opportunity to share ideas and experiences, to extend their horizons, to come in contact with other cultures, and to open up new channels of communication.The scientific programming will contemplate a 3 hour psychodrama workshop daily. The academy will provide daily excursions to the general Chania region for meeting and feeling the culture of the locals. Moreover, enough time for swimming and relaxing by the dreamful seaside of the island will be provided in the daily program. The Hellenic Association of Group Analysis & Psychotherapy (H.A.G.A.P. ), located in Athens, Greece, deals with education, therapy, and seminars. The Psychodrama Section of H.A.G.A.P. is an organizational member of P.I.f.E. and candidate member of the Federation of European Psychodrama Training Organizations (F.E.P.T.O.). Our members are psychodramatists who may be group analysts or organizational consultants, as well. Our Executive Committee is comprised by: Anastasios Koukis, Ph.D. - Chairman; Stylianos N. Lagarakis, MD. - Manager; Georgios Chaniotis Member; Kleopatra Psarraki Member; and others. their psychodrama workshop outdoors (mountain, seaside). Brown-bag lunch and coffee will be served after workshop. During the afternoon, there will be enough time for swimming and relaxing. Dinner will be served at the venue of the Academy followed by coffee. Then, there will be free time for socializing with each other, sharing ideas and experiences, or even relaxing by the sea. Workshops will be in English and Greek. We will make an effort to provide translation in most of the workshops. The registration fee provides: Full board accommodation in double bed room (6 nights with breakfast, lunch, dinner & 2 coffee breaks daily) for the period 2-8/9/2006.  Participation.  Transportation during the Summer Academy. On opening day morning a bus will wait for you at the port of Chania.  Traditional Cretan night (traditional Cretan cuisine, drinks, music and dance). 2000: In Athens around September, 2000, a new training group of around 14 students began. Alexandra Chaviara <alexanna@x-treme.gr> writes: Mr. Kostas Letsios of Athens is our group’s coordinator, and our main trainers are from Hungary: Ildiko Erdelyi and Antal Bugal. Dr. Letsios, who directs three groups there, also has written and recently published a book about psychodrama in Greek--the first psychodrama book in Greek--, and he plans to edit a volume including some important psychodramatic articles from other sources. August, 2000: Alexandra Pentaraki <apentaraki@yahoo.com> writes: The Hellenic Association of Psychodrama was founded in Thessaloniki, Greece, in 1995. (I’m the Vice-President.). Our approach is classical Morenian. We have 20 members of the association, trained primary by Ms. Jinnie Jefferies of London, whose training institute is named “Filyra.” We invite other international trainers to Thessaloniki. 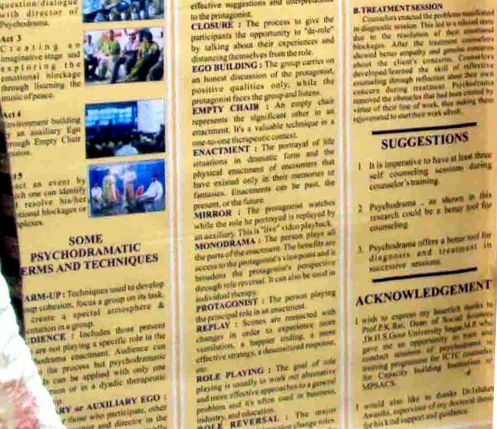 We have written about psychodrama in national newspapers, offered public lectures, and tried to make psychodrama- psychotherapy a recognized profession in Greece. Those of our practitioners who wish to practice psychotherapy in Greece must be either a certified psychiatrist or clinical psychologist. We have just published our first newsletter, and I am translating the recently published "Handbook of Psychodrama" (1998--by Karp, Holmes, Tauvon). trainer level, one has to conduct two groups, co-led with a certified trainer and publish articles. Since it started decades ago (middle '80s), there is a generation of senior practitioners and trainers who learned psychodrama from Ildiko Mavers of the Psychodrama Institut fur Europa, and this generation now train the next generation. There are now some 50 trainers in Hungary (bibliodrama and child-psychodrama included). Quite a few of them read and speak English I guess. There are some 600 supporting and normal members of the HPA (Hungarian psychodrama Association). There are three level of psychodrama professionals in Hungary: assistants, psychodramatists and psychodrama trainers (who train psychodramatists). 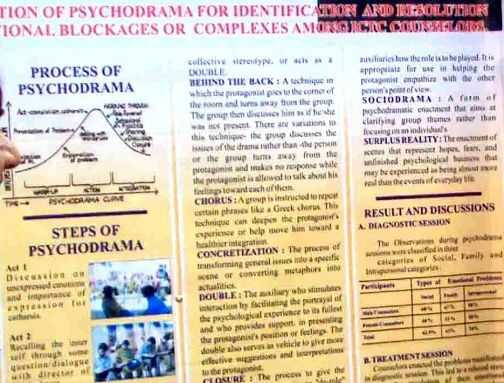 From March, 2009, 65 experimental psxchodrama groups were started by psychodramatists (these groups are run officially, but there are some that don't have a position number at the HPA). And also some 65 experimental and training groups were started by psychodrama trainers. = psychodrama training groups were started in this period. 8-10 psychotherapist use psychodrama methods in clinical settings. Recently the Hungarian Association elected a new president, Béla Fedor. Books about psychodrama have become more available. When I was trained only the book of Zeitlinger was available. There are Hungarian ones and also some translations, among which is Adam Blatner's book Foundations of Psychodrama, about theory, which is used as a good reference. Original books of Moreno are almost unseen. psychodramatists from the international community. Next congress will be held in 2011 spring and dr. Reinhard Krüger will held a seminar for psychodrama leaders and trainers on using psychodrama in a one-to-one setting. : May, 2006: Judith Teszary wrote: We should honor Ferenc Mérei (1909-1986), the pioneer of psychodrama in Hungary: He developed a special form of group centred psychodrama. 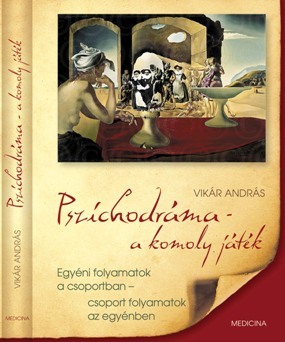 He also let his students translate Morenós Psychodrama Volume 1 into Hungarian. Here you have a short information about him. Ferenc Mérei studied, in the same years as Zazzo, at the Sorbonne University, Paris, where he was Wallon's student. He graduated in 1934, in psychology, pedagogy, sociology, and philosophy. He then returned to Hungary and worked primarily as a teacher and clinical psychologist, among others with Lipót Szondi. During his educational-medical work he dealt with adults as well as with children. His professional career was thrown off the rails during World War II and again later in the 50's. The coming to life of psychodrama in Hungary also had a lot to thank Moreno and his travels. In 1963, the year of the amnesty for the "counter- revolutionaries", he came to Hungary at the invitation of an old friend of his, András Petô. He delivered lectures at the Hungarian Academy of Sciences and at the Neurological and Psychiatric Society, and later he had a private meeting with Sándor Szalay, a sociologist, and Ferenc Mérei. It was here that they discussed with the Master a possible programme for the Psychodrama Workshop. Already then it was apparent that the focus of their attention was the group - the "here and now" tension and dynamics of social relationships, turning these into a play, putting it on stage, the cognitive processing following the play, and the feedback effect of this whole process on the development of the group. Moreno himself puts the emphasis on the individual group members' performance: the presentation and elaboration of the "there and then" on the stage, and the cognitive processing after the play. The workshop was eventually born 10 years later under the leadership of Professor Mérei, paving the way for the evolution of the Hungarian school of psychodrama. Mérei and his disciples began to apply psychodrama in clinical practice at the beginning of the 70's. Several members of the Workshop are still active participants in the profession. In Mérei's work, the following have been pivotal with regard to psychodrama: His study "The Common Experience" (1947), in which he describes and discusses a socio-psychological experiment carried out on children; "The Secret Network of Communities" (1971), in which he provides a complete summary of his multi-dimensional sociometry; and "The Autognostic and Therapeutic Applications of Psychodrama" (1987), with co-authors Klára Ajkay, Emôke Dobos, and Ildikó Erdélyi. On December 12, 2002, Marcia Karp of England (email: MKarp11444@aol.com ) wrote. I have just returned from Hungary where I gave three workshops and a lecture at a pre-conference and conference venue outside Budapest. The Hungarian Psychodrama Association has 850 members and there were about 250 at the conference!.Before that I was in Estonia and did a workshop–I had help translating–for a training group for 4 days. After that did a week in Spain in the mountains. In January I go to Japan and Korea. Also, Kate Tauvon is the lead editor on a revision of our 1994 book, Psychodrama Since Moreno, which we hope will be published around the time of our next international conference on August 9-15, 2004, in Oxford, England–a repeat of the very successful conference we held there nine years ago. Hungary: (December, 2003): Dr.Peter Bettembuk <bpeter@dote.hu> writes: The Hungarian Association for Psychodrama held its meeting on 28 November, 2003. According to Andras Vikar, president of the HPA, there are currently 600 members of the HPA and 350 people attended the conference. One of the topics was to enlarge the website surface of the Association (www. pszichodrama.hu) and open it to more widely. The Association right now is going to organise a photo directory of the active trainers in Psychodrama in Hungary with description of the individuals experiance and breef CV.. The website is good and up-to date in Hungarian but need to be improved in English. Pinter Gabor is the one, who makes connection between the FEPTO and the HAP. You can find pictures and information from the last Hungarian conference on http://www.pszichodrama.hu/pdk2002/. surrounded with the charm and warm of Judit's personality. She has been given the How to Direct Psychodrama session once in Pecs and a few times in Budapest, the capital of Hungary. The group focused on the different aspects of the directing process, and performed deep process analizis after each psychodrama. It was medium size group 16 people, and we worked together 36 hours during the 3 days. Some of the attended members of the group was already a psychodrama gruop leader like myself, some of them is on-training, with different current study level. The workshop was organised by the Psychodrama Institute of Pecs, the leader of the Institute Andras Zankai. Andras Vikar had a workshop "Monodrama- using psychodrama in personal therapy, at Budapest end of April, 2004,,, and Veronica Needa had a workshop at Pecs, titled Movement and dance- improvisation using the playback theatre organised by the Playback theatre of Pecs. 2001, 30-31 March: András Vikár <avikar@elender.hu> , president of Hungarian Psychodrama Association, writes: Our fifth National Psychodrama Congress was held in Budapest. We had about 400 participants, including psychodramatists from Romania, Greece, France, Sweden, Germany, and Israel. Our Psychodrama Journal come out also for that time (it come out 2 times a year, spring and automne) and a new book came out last month about Child Psychodrama. Ildiko Erdelyi, our vice president, and I attended the FEPTO annual meeting in March. Zsófia Safran <safran@index.hu> and Tamas Treuer <treuer@mail.index.hu> write: The fifth volume of the series of “Psychodrama in practice” was published recently. The title of this book is “We’re living in this house”. (Edited by A. Zseni.) HPA is available online. (www.pszichodrama.hu) The homepage collects the most important information about HPA and psychodrama training. August, 1999: Andras Vikar (email: avikar@elender.hu ) writes: Psychodrama began in the 1970s. Now we estimate more than 120 psychodramatists with at least 800 hours of training. We have about 30 trainers and 12 supervisors, and the method is officially recognized. Website: http://www.oracle.hu/mpe (with some English translations!) Also, from an email from Judith Teszary, who trains there: The psychodrama community around 1988 formed a Psychodrama Association., and now have a journal named Pszichodrama. Their Playback Theatre, led by, Kiss György Ádam, is called Improvisation Theatre:Rögtönzések Szinháza. They are playing once a month at a real Theatre in Budapest, and they always have a full house. presented a poster about psychodrama! Other news in India. Nearby, in Bangladesh, Herb Propper is teaching there, and others are gradually networking and sharing their interests. IAGP: July, 2012: The recent conference in Cartagena, Columbia was attended by 400 people. "Goyo" is in white, the third in from the right, with the red neck-band. Below, Ruben is the fourth from the left in Violet. During the main part of the congress Goyo conducted a large group with Teresa Von Sommaruga mixing group-analytic and psychodramatic techniques. I also conducted a workshop: "Heredar una historia de violencia"(Inherit a history of violence) with Ruben Estandia, using psychodramatic techniques. July, 2006: Manuela Maciel, chair of the psychodrama section, reports: The special psychodrama section meeting of the IAGP went very well with around 50 people from all the continents. The congress, as you know by now was a big success with more than a thousand people and I would say more than 60% of them were psychodramatists! Psychodrama is really very strong in Brazil. I ran a Transgenerational Psychodrama Course, for 3 days with around 80 people attending, also the panel on "Advanced Theories in Psychodrama", a paper on "Historydrama" and participated in a panel about "cross fertilization of the sections in IAGP". IAGP keeps the initials but changed the name to International Association of Group Psychotherapy and Group Processes, being therefore more open to other group aproaches. museum project was launched (with some paintings of the house sold but still a lot more to sell) and the section meeting was effective. I will write soon more about it. Anne Schutzenberger <anne.schutzenberger@wanadoo.fr>: The 16th IAGP triennial congress was held in Sao Paulo, and more than1300 people attended. (The next congress will be in Rome, Italy, in 2009. Some international figures attending included Dalmiro Bustos of Argentina and Brazil; Sue Daniel of Australia; Eva Fahlstrom of Sweden, Manuela Maciel of Portugal. Francis Bonds-White (of the USA) will be the president for the next three years, and after that, as mentioned above, Jorg Burmeister (who is also one of the editors of the forthcoming book on advancing theories in psychodrama. A collegue wrote to me : The young people are a joy to see and to know that through them PD will continue. The congress catalogue and the list of those attending were given to registered participants. The congress was lively with many young Brazilian psychodramatists. Dalmiro Bustos, Monica Zuretti and others have made an enormous work over the years to make PD Psychodrama known and applied in Brazil. Some of our colleagues made plan to come to visit me next week at my high mountain home in France. I’m now 87 and have been active in psychodrama since 1951. .
After the IAGP Board meeting in New York City in March 2005, I am happy to share with you the report of the Psychodrama Secytion of the IAGP, which was aproved by the Board. Total of Announcements September2004/February2005 : 80, which indicates that the list has increased significantly its effectiveness and popularity. 2. Book to be published by Roultledge: "Advanced Theory in Psychodrama." Following the invitation by the Series Editor of Routledge of these books on advanced theory in Psychotherapy, in Oxford, August 2004, it was decided that Manuela Maciel and Jorge Burmeister would edit this book, also taking advantage of their international contacts. We had applications from around 30 potential authors and after revising all the abstracts we have decided to select 23 of those very interesting and up-to-date topics for this very important new book to the Psychodrama state of the art. This book will be important because it will make psychodrama a more academically recognized model and it will contribute actively to the comtemporary theoretical reflection, very needed in our field. From these contacts which seam to be the cutting edge of theoretical reflection in Psychodrama we also expect to have good quality contributions to the journal *Forum* and to the *16^th International Congress of IAGP*, where we think these authors should be invited to present since their works and writing reflects very good quality. 3. Research: Michael Wieser, the coordinator of this working committee, collected ongoing and finished research with the topic of Psychodrama and has prepared a worldwide psychodrama research list to be seen at his webpage under https://www2.uni-klu.ac.at/claroline/160321. We expect that this link will be moved to the Psychodrama Section Webapge http://members.tripod.com/~portaroma/iagp_pd.htm <http://members.tripod.com/~portaroma/iagp_pd.htm> managed by Antonio Roma Torres. We are updating other newsletters about the activity of the Psychodrama Section in IAGP and about IAGP in general. The Psychodrama courses in Mozambique are starting to be planned. 5. The 16th International Congress of IAGP (The International Association of Group Psychotherapists) meets every three years, the next one will be in Sao Paulo, Brazil. Pre-Congress, 17-18 July 2006 / Congress, 18-22 July, 2006. Theme: "Groups: Connecting individuals, communities and cultures." The hosts for this Congress is FEBRAP (the Brazilian Federation of Psychodrama), by other Brazilian institutions and by the IAGP. Details to be announced. For further information, please contact Heloisa Fleury and Haim Weinberg (2006congress@iagp.com ). The new Chair of this following the late August, 2003, triennial IAGP conference in Istanbul is now Manuela Maciel, of Portugal. Her email address is:: psychodramachair@iagp.com For the previous three years, the Chair of this section and the manager of the IAGP-PD listserve was Sue Daniel of Australia. The next international conference will be in Sao Paulo, Brazil (August, 2006). Manuela writes: Having been elected as the new Chair of the Psychodrama Section for the next 3 years, I am very happy to tell you that we had an excellent Congress in Istanbul, Turkey, with many presentations and workshops on Psychodrama. I would like to emphasize particularly the great effort of Sue Daniel, Anne Schutzenberger, Pierre Fontaine, Maurizio Gasseau, Jorg Burmeister, Greta Leutz in this Congress, who besides from having presented workshops during the Pre-Congress have also done an excellent contribution to the Congress itself, with very high quality and well organized presentations and symposia. Many other Psychodramatists also presented their work and also the new Video "Moreno: His life and his muses" was presented by Jose Fonseca. We also had the pleasure of having as a speaker in the plenary Session, Jonathan Moreno, who spoke about ethics in Medicine and the secret experiments on Human Beings (which is also the title of his book "Undue Risk: Secret State Experiments on Humans" ). meeting we also formed a working Committee of about 16 people, representing the different regions of the World, who kindly volunteered to help the PD Section to accomplish its goals. I am proud to announce that this Working Committee, who had another specific meeting at the IAGP Congress, is already working in 4 different subgroups focusing on specific areas (chosen according to the main suggestions collected at the PD Section Meeting) with already well defined goals and coordinators. - Presentations for Congress 2006 in S. Paulo. Very soon, I will write to you about the specific goals of each subcommittee, which will also be soon added to our webpage, so that each one of you may contribute with ideas in order to keep this work vivid, creative and effective. Let me also suggest your active contribution to this list, so that we keep informed about everything which is relevant to the Psychodrama Community in the world. owner (as opposed to submissions for the list) should now be sent to my new IAGP address of psychodramachair@iagp.com. Thank you for all of those who are supporting me and specially to Sue Daniel for her excellent work in the Psychodrama Section and for the 15th IAGP Congress, and also to give me the opportunity and honor to Chair the IAGP Psychodrama Section. May, 2004: IAGP-PD: Jorge Burmeister of Switzerland < bulmonte21@bluewin.ch > has been organizing a summer academy each year for a while, in Granada, Spain, as part of the IAGP (International Association of Group Psychotherapy) activities. This summer, June 7-11, 2004, there will also be psychodrama training led by internationally acclaimed trainers. For more information, go to www.granada-academy.org The theme will be "Between Worlds and Cultures: Identity, Loss and Belonging. The psychodrama training (and, for those who wish, use also of other group approaches) will focus on topics of intercultural group work. Emphasis will be for those who speak Spanish, Italian, English and German. They will only have a maximum of 50 participants in order to guarantee a frame for personal encounter and personal growth. (It's also an opportunity to enjoy and learn about Granada, one of the most tolerant multi-cultural cities during the late middle ages.) The training offered 50 hours of accredited under the auspices of the IAGP. There were people doing group analytical work as well as psychodrama, and a variety of stimulating plenary lectures (in the mornings), and then, according to your interest in approach, several parallel tracks of workshops. In addition, we'll have cultural events at the lunch break and in the evening, including Flamenco dancing (including some teaching! ), guided trips around the historic Granada, Alhambra by night, and a farewell dinner party. with restaurant and Flamenco school reserved for the conference. The psychodrama trainers include Mauricio Gasseau (Italy--Jungian Analyst and Psychodramatist) ; Jose Fonseca of Sao Paulo; Dr. G. Saez, Granada, Board Member Spanish Association of Analytical Psychodrama; Dr. J.-A. Espina-Barrios, Valladolid, Ex-President AEP (Spanish Psychodrama Association), and Barbara Legeler (Germany). Help for accommodations is available. Translations into Spanish, Italian and German will be provided. Fees: Students are discounted, as well as for some people with low economies. In general, the fee for the week is about 580.- € (And the Euro is close to a dollar now, I think)... with another 10% discount for IAGP Members. August, 1999: Peter Felix Kellermann, of Israel, has been sending out bulletins about the Psychodrama Section of the IAGP. These are sent to those who agreed to be included in the online directory of the psychodrama section at http://members.tripod.com/~portaroma/iagp_pd.htm The purpose of these messages is not only to learn about various international psychodrama activities, but also to keep in contact and get to know one another better before the biennial IAGP meeting on August 20, 2000 in Jerusalem. there is a possibility for people coming from countries with difficult economies and for groups of people who register together to apply for a discount on their registration fees. If you would like to inquire about this possibility, please write to < congress@inter.net.il > Attn: Orly Ishay (secretary) Also, remember that the final date for the submission of papers and workshops is middle of October this year. We expect a large attendance of psychodramatists. If you're interested in finding out what is going on in the world of psychodrama, or want to send an announcement of workshops, new books, etc., please consider subscribing to the IAGP-Psychodrama Section Listserve! To subscribe, go to the IAGP Website: http://www.iagp.com/lists/psychodramalistinfo.htm or, ou can simply email to psychodrama-announcement-list-subscribe@iagp.com and we will let them know how to complete the sign-up process. Iran: Mr. Taher Fathi is a psychologist in the capital city of Tehran (Email: fathitpd@yahoo.com ) He writes: I have been interested in psychodrama for a few years, and have been in contact with others internationally, who have supported my interest. In 2001 I put together a number of papers and wrote some introductory chapters, privately publishing a book titled (English translation:) "Psychodrama: Prevention and Treatment of Psycho-social Disorders on the Stage". As of early 2003, about 85% of the first edition of 5000 have sold, which means that there are a considerable number of people who have at least become acquainted with the idea. Indeed, considering the lack of marketing, the small success of this book is remarkable. More recently, I've sought to present the method to interested colleagues in psychology and related fields. At present, I'm aware of no one else in Iran who has more training or interest--but I'm hoping to generate enough students to sponsor visiting (guest) trainers from elsewhere in the world. I hope that if you would be interested, you would email to me and we could talk over the possibility, the requirements, rewards, etc. I am a member of ASGPP in 2003.I am trying to establish a Psychodrama Center in Tehran. The main goal will be translation and publishing a few well known basic books into the Farsi (Persian) language. I also have a special interest is directing some TV programs on Psychodrama–it would be one of the fastest and most straightforward ways of introducing psychodrama to the people who are interested in Psychodrama. TV is the most powerful media in Iran. So, please share and help me if you have any suggestion for reaching this goals. I look forward to hearing from you. Israel: In October, 2007, Hod Orkibi < hod-or@bezeqint.net > writes: The Psychodrama field in Israel is going through major changes in the last 3 years- a change that includes all art therapies. Before, the Israeli Ministry of Health used to issue license for therapists who graduated training programs that were accredited by the Ministry of Health . However, during the last 3 years the Ministry of Health is no longer issuing license for therapists and currently they are "working" on establishing new law for licensing and accreditation of programs, including the new MA requirement as all training programs in Israel (with the exception of Lesley's extension) grant a diploma and not an MA degree. The situation now is that actually anyone can practice art therapy as there is no state licensing body. In the organizational aspect, this situation, I believe, empowers the particular "Israeli Psychodrama Organization" (established in 1990) that gets bigger and hopefully stronger. (we have a conference next week). However, There is another organization (established in 1971) that associates all creative arts therapists: "I.C.E.T. -The Israeli Association of Creative & Expressive Therapies." As a result of the governmental 3 years "frozenness", the two organization (that are voluntary associations and not a "labor union") are currently more free to regulate their on qualification criteria. Naharin, Eliav (1999). BAMA BIMKOM SAPA [free translation : "A Stage Instead of a Sofa"] Chricover Publishing. Holmes, Paul. (1991a). Classical psychodrama: An overview. Hoey, Bernadette. (1997). Who Calls the Tune? A Psychodramatic Approach to Child Therapy. 1. Kibbutzim College of Education- 3 years diploma program in The School of Advanced Studies. Psychodrama is part of the Post Graduate Studies. <http://www.smkb.ac.il/heb/?catid=950> This is the oldest institute. July, 2007, Yudith Rybko ( yrybko@yahoo.com ) writes: Haifa University is planning to open a psychodrama program for training therapists, and if this happens, I will be the head of this program if it will be opened. Psychodramatists in Israel tend to be associated with either the Expressive Therapy organization (which combines creative arts therapies modalities) and another organization just for psychodrama. The government is regulating therapists in ways that makes it more difficult to practice just as a psychodramatist. The books edited by Holmes, Karp, & Tauvon and others have been translated into Hebrew. The conference was intense, good and very meaningful. Mohammed K. Mukhaimar <momukhaimar@yahoo.com> wrote: It was very interesting conference in Tel Aviv. I met Amal Kouttab (a drama therapy colleague of Armand Volkas, who works with intercultural reconciliation), and we had dinner... Many Israeli psychodramatists are nice and have offered cooperation–a group from Jerusalem invited me to share with them my experiences. Nowadays I am in the process of applying the psychodrama program on a group of 15 girls from one of the highest traumatized areas, and it works very well...I work at the Gaza Community Mental Health, a non-governmental organization established in 1991 in Gaza to address the dire need for mental health services. .. I have been in psychodrama training with Ursula Hauser (from Switzerland and Costa Rica), along with a group of professionals from Gaza, in periodic workshops conducted here in Gaza since 2001. On September 2006 we will be graduated as Directors of Psychodrama Techniques. Already we have applied Psychodrama with different groups including women, traumatized children and adolescents. These groups have received the method with great amount of commitment and this has motivated us to continue and to develop it, and dreaming of establishing the National Institute of Psychodrama here in Palestine. 2005: Ilana ben Meir <Benras@bezeqint.net> writes: The Israeli Psychodrama Association has now certified about 40 members. There are four schools for psychodrama, 2 of which are "authorized." Plans are to begin to construct a website. Yossi Avivi < yossi_avivi@yahoo.com > writes: My estimate of the general number of people involved with psychodrama takes into account the number of years that psychodrama schools operates in Israel and the students that study in each school and also to remember that the training lasts 3 years. Only negligible number of people study abroad. According to this method of calculation the number ranges from 150 to 200. These forums are open to any discussion but until now they include mainly announcements and questions about new groups, schools etc. Members of the unions and students receive letters from the psychodrama union announcing conferences and meetings, and members of the The Israeli Association of Creativity & Expressive Therapy receive newsletters and bulletins from this union. The e-mail address of the secretary of the Israeli union of psychodrama is nurit698@hotmail.com and her name is Nurit Schreiber. about the popular books. I don't know about who will come to the conference. There are four psychodrama schools in Israel: The older one exists more then 20 years: located in the Israeli extension of Lesley University and is leaded by Miri Livnat; The other one exists more 10 years: located in the Kibbutzim College of Education and is leaded by Einya Artzi; And the other two exist more than 5 years: Kivunim -- that is leaded by Oded Nave and Isis that is leaded by Yaacov Naor. Each school has more than one trainer. At least 3 in each school train psychodrama and other teachers teach psychology courses and group dynamics. My active trainer now is Ofer Zilberberg, a psychodramatist and social worker who is specializing in group therapy. His main psychodrama teacher is Eliav Naharin. My former teachers are Einya Artzi, Hanan Snir, Vered Naharin and Ariela Barzel. I also particpatied in a psychodrama group leaded by Dafna Ben Amithai (Yaacov Naor's student) whom I consider also to be my teacher. My former trainer is Dvora Evron (Einya Artzi's student). My first meaningful encounter with psychodrama was in a semester course leaded by Eliav Naharin. How many psychodramatists are currently working in Israel is not an easy question. Depend upon the definition of work, volume of psychodramatic work within one's work and those who work full time in psychodrama. Other issue is the absence of many people from the psychodrama establishments, and the lack of psychotherapy law in Israel. I would say that the number is around 200 - 100 certified or semi-certified professionals and about 100 students and trainees practicing psychodrama as part of their training. The popular books are 3 books in Hebrew and one translation (Marcia Karp and Paul Holmes), Moreno, and some other 20 books in English. There is a strong articles base for schools I'd say 200 which are easier for the students to handle. The School of Psychodrama in Kivunim with about 50 students and graduates currently contributes about one third of the estimated students and trainees working in Israel. I will probably go to Split, Croatia this June for a study days of EGATIN, the following week I am in Belgrade in a pr-conference workshop in "psychodrama and Art therapy" in the psychotherapy institute of Europe and then there is another conference I may go in Belfast and then of course to Zagreb, Croatia October 14-17 for the Cross Culture Training Days. This time a very well organized event with a gust of honor – the president of Croatia. You can see our web site at tcpsychodrama.info. My students and I have been translating Blatner's books on psychodrama into Hebrew and trying to get them published here, but it's hard to find a publisher. running from 8 AM to 10 PM for 3 days in a row. If you wish to see the program you may send me your E-Mail address and I'll send it to you. Israel: The creative therapy and IAGP people are co-sponsoring a conference with the theme: Imagine: Expression in the Service of Humanity," To be held in Jerusalem and Tel-Aviv Yafo, Israel on April 2-6, 2006. This conference will focus on the development of creative therapeutic tools appropriate for dealing with conflict in general and the Israeli-Palestine conflict in particular.The predominant theme is to touch and understand the pain of the other as a vehicle for growth and development and an opportunity to explore new ideas and approaches. We intend to listen, thought, learn and conduct research together. The conference will bring together a multidisciplinary group of researchers and practitioners from fields including group psychotherapy and group analysis, psychology, psychiatry, the expressive therapies, education, social work and related areas of inquiry, as well as from the arts. May, 2001: June Hare <junehare@bgumail.bgu.ac.il> writes: I am part of an integrative, cross-disciplinary group of over 40 expressive and creative arts therapists in the Negev, the southern part of our country. We have six psychodramatists and a dramatherapist. Our psychodrama section meets once a month four hours, for case presentations and/or action explorations of mainly professional and sometimes overlapping personal issues. Italy: Luigi Dotti (email: gigi@mickey.it) writes (in January, 2003): We have about five hundred professional at different levels of training in our country, and the name of our national organization, founded in 1985, is "Associazione Italiana Psicodrammatisti Moreniani (The Italian Association of Morenian Psychodramatists--abbreviated, AIPSIM). Our association sponsors a professional journal, "Psicodramma Classico," published twice a year; a newsletter, AIPSIM News, also published twice each year; a website page for the journal: http://digilander.iol.it/psicodrammaclassico ; and a website for our organization: http://www.aipsim.too.it , in Italian and English. -- Boria, G. (1998). Lo psicodramma classico. Milano: F.Angeli Publishers. – Dotti, L. (1999). Forma e Azione. Milano: F. Angeli. -- Dotti, L. (2002). Lo psicodramma dei bambini. Milano: F: Angeli. Italy: Luigi Dotti (email: gigi@mickey.it) writes about the Fifth Conference, "Psicodramma a più voci" (Psychodrama with more voices"), held on the weekend of February 1, 2004, with 200 participants, including a few from Argentina, Brazil, and Europe. Most of these were mental health professionals, but some were from other fields. There were large and small group programs and 32 workshops (about psychodrama, playback, psychodrama video ecc. ), conducted by 25 expert psychodramatists (Maurizio Gasseau, Giovanni Boria, Luigi Dotti, Paola de Leonardis, Giulio Gasca, Wanda Druetta etc..) This year we included some children who participated in children's psychodrama; some sociodrama workshops in the "open air," directed by psychodramatists in the center of town. Our conference promoted an encounter among several forms-- classical (Morenian), Jungian, analytic psychodrama and playback theatre, and we addressed the theme of the dimensions of gender differences between directors and participants. Dr. Dotti's website is: www.psicosociodramma.it and www.playback.it --in Italian. email: luigi.dotti@galactica.it (Luigi Dotti) . Japan: May, 2007. Doctor Hajime Mashino <hmashino@luther.ac.jp> wrote: I am teaching in Lutheran College but will retire next year. This last year, we translated Moreno’s Psychodrama Vol 1 into Japanese. In August 2007, I will direct a sociodrama about the origins of Morita therapy at the forthcoming International Morita Therapy Congress in Canada. At present, I estimate around 200 - 250 members of the Japanese Psychodrama Society, and we publish a Japanese Psychodrama Association journal, "Shinrigeki," once a year. The articles have abstracts in English. Dr. Isoda is still involved. May, 2002. Prof. Yujiro Isoda <Leo1311I@aol.com> I founded The Tokyo Psychodrama Association (TPA) in 1995, and our approach is deeply influenced by ANZPA (Australia and New Zealand Psychodrama Association) and its founder G. Max Clayton. Yujiro is the first certified Japanese by ANZPA so that TPA is one of the certified institute of ANZPA. TPA is based on more of systemic role theory by Max Clayton, but less of classical Morenian way. Not all but mostly members of TPA are associated to Japanese Association of Psychodrama and Drama Therapy. Japanese Associaiton is in Japanese called " Nihon Shinri-geki gakkai" in this Niho is the translation of Japan, and Shinri-geki is translation of Psychodrama. This larger (over 600 people) association includes not only of psychodramatists of various backgrounds, but also Sociodramatists, Drama therapists and professional Drama Directors who are deeply interested in clinical functions of Drama Play; this group publishes an annual journal called "Shinri-geki," (only in Japanese). I may be reached at the above email address or at work e-mail, "jyisoda@ipc.shizuoka.ac.jp" I would be pleased to have a conversation with foreign people in foreign language. Yujiro Isoda,M.D.,Ph.D. Professor of Clinical Psychology. Korea: February, 2007: Sunghee Cho" <alansohn2003@yahoo.com> wrote: The Korean Association for Psychodrama and Sociodrama was founded in 1997 by a group of members of Korean Research Group of Psychodrama. (That precursor was founded two years earlier and invited Zerka Moreno, who offered the first psychodrama workshop by a recognized international trainer.) Now there are approximately 350 members of the KAPS, and this includes professionals, graduate and undergraduate students, non-professionals, religious leaders, etc. It is is the only national organization focusing on Moreno’s work. The first President of KAPS was Dr. Hun Jin Choi; the second was myself, Sung Hee Cho, and the third was Dr. Mi Ok Lee; and the current and fourth president is Dae Hun Choi. Our organization publishes its journal bi-annually; has an annual conference every February, and organizes a special workshop every summer. (This last was our 10th anniversary conference, attended by 75 people.) In addition, KAPS has monthly conferences throughout the country, with 8 regional associtions, every of which has its own monthly meeting. Latin America: Rasia Friedler, a psychodramatist in Uruguay (email: rasiafriedler@netgate.com.uy ) wrote: "A Wave of Happiness!" : On October 12, 2003,? remembered also throughout Latin America as the day Columbus arrived in the Americas in 1492, a rather singular event took place involving a number of countries from around the region. Argentina, Brazil, Uruguay, Chile, Paraguay, Bolivia, Venezuela, El Salvador, Ecuador and Mexico were all united in a voluntary, simultaneous and public act, that went well beyond the limits of any political party or institution. Participants from Belgium, Spain, the United States, Holland, Britain and Italy gave this mega-event a truly international range. People were able to take part via public sociodramas and spontaneous theatre, in an original journey that led from pessimism to hope. I never imagined that such a simple dream of Latin American fraternity would have taken off with such force. The idea of a piece of sociodrama without frontiers spread throughout the world like a huge wave, only this time, instead of being a wave of conflict, it was of happiness. In Uruguay, many people walked among the trees heavy with spring blossom at five in the afternoon on the 12th of October 2002. Following the rain of the preceding days, the flood of sunlight embraced us all like some protective mother. Those of us that were psychodramatists and spontaneous actors had met on other occasions in this same place, and recognised each one of the natural elements which would later form part of our stage setting, moving among them, touching them, imagining scenes, sharing expectations, creating the poster for the event. We could also make out the nearby sea and sand of the Atlantic coastline. The place would be a good one. We hugged each other, like those who are used to finding strength in their weaknesses. And there we were waiting, dallying, and the footsteps, many more than we had imagined, got closer and closer. New stories emerged from simple images, or a casually tossed word. One of the statues represented a circle of humming birds trying to put out a fire that was dangerously closing in on them, until finally they succeeded in bringing it under control. This piece was inspired by a story of a single humming bird that persistently carried drop after drop of water to extinguish the flames, as opposed to the other birds in the forest which tried to convince him about the futility of his efforts. Without stopping for a single moment, the humming bird replied time and time again: "I am only doing what I can": the justification of each drop in the desert, poured without any form of pretentiousness, both in a moral sense and as a revitalizing action. The impetus of each movement, the physical proximity, the sociodramatic proposition and its synchronicity with the other "Scenes of the People" helped unblock feelings of hope about the future. And at the very least, it certainly was not one of those occasions dominated by so-called experts who make people believe that they are not sufficiently well informed or educated to either act, or to vote. Five hundred and ten years after the arrival of the Spanish in America, and eighty-one years after the first official psychodrama session in the Komoedien Haus in Vienna, and less than two years since the megapsychodrama event in Sao Paulo Brazil–alluded to in Blatner's paper on the history of psychodrama in Brazil, on this website--the Uruguayan experience in the First Simultaneous Public Sociodrama took place in an open green space which had been joyfully rediscovered: Rodó Park, a favourite haunt of the residents of Montevideo, named after the same Uruguayan nineteenth century writer who created the character of Ariel, he who called out to the youth of his time for the libertarian construction of an Hispanic American destiny, words that still resound in the hearts of many Uruguayans today. It has been a long time since the word "people" has been so clearly heard, after its constant debilitation as a political and cultural category. Many thanks to everyone who helped such a liberating experience, conceived as a collective adventure, to be once more possible. 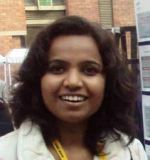 Latin America (Ibero-American Conferences): Esly Regina Carvalho <eslyc@attglobal.net> wrote: The last one was recently in Buenos Aires, and was very successful. The next conference was in Mexico City in early May, 2005, and Jaime Winkler helped to organize it. This conference generally is held twice in Latin America and then once in Iberia (Spain or Portugal). Thus, the general sense is that in 2007 it will be held in Spain and in 2009 will return to Ecuador. There is a significant core of practitioners who attend these conference, which is generally held in Spanish and Portuguese. Latvia: May, 2008: New excellent website: www.psihodrama.lv The Moreno Institute in Latvia was founded 2002 by Inara Erdmanis with permission from Zerka Moreno. Inara Erdmanis is the President and Inara Varpa who resides in Latvia is Vice-President. Inara Erdmanis started her journey back to her birth country long before. She started educating doctors and psychologists in 1989 with introduction courses in Group and Family Therapy. The first basic education in Psychodrama, Sociometry, and Group Psychotherapy took place 1994 -1995 and the second in 1997 – 1998. Since then four more groups have finished. To this date there have been 55 persons who have finished and received the title of Psychodrama-Assistant. 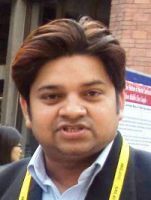 The first leader education took place 1999 – 2002 and 17 persons then passed the examination and got the title Psychodrama-Leader. From this group 10 persons continued and passed the examination for CP – Certified Practitioner. In 2007 a new leader education started with Marc Treadwell (TEP) as the main teacher with 25 participants. The Education was financed and supported by East European Committee in Sweden until Latvia joined the EU. From the very beginning Inara Erdmanis has been supervisor in the European Psychodrama Institute In 2007 a new leader education started with Marc Treadwell (TEP) as the main teacher with 25 and made contact between Latvians and other European Psychodramatists. Inara Erdmanis got the idea of Baltic Moreno Days, which means a Psychodrama conference every second year in one of the Baltic countries. Each country; Latvia, Estonia and Lithuania is responsible every sixth year. In 2002 the Latvian Moreno Institute arranged “Dream Wind” in Jelgava together with the Latvian Psychodrama Association. The next one to be organized by Latvia, “The Beauty and Beast”, will take place in Valmiera in August 2008. The Moreno Institute in Latvia is member of Nordic Board of Examiners (NBE) where standards are set according to the standards in England, USA, Canada, Austria, New Zealand, and others countries. NBE also examine people to the highest level in Psychodrama TEP (trainer, educator, practitioner). 2007: In Latvia, they held a Midsummer Night Dream Seminar: Dreamwork, Psychodrama, Body Psychotherapy & Summer Solstice Celebration June 14-20, 2007. Organized by Gaia Center, this seven day seminar will combine Dream Work, Psychodrama, Body Psychotherapy, Rituals, and other activities to increase self awareness, and to express oneself more fully. (2005) Inara Erdmanis <ina.erd@bredband.net> , a trainer in Sweden who travels and trains in Latvia, writes (in March): In Latvia I have started an education for CP. 12 people from the leader education want to go futher. This takes place in the name of the Latvian Moreno Institute (belonging to NBBE Nordic Baltic Board of Examiners). In Sweden I plane to start a TEP-training (6 people) and a CP-education in the name of the Stockholm Institute for Psychodrama, Sociometry and Grouppsychotherapy (also belonging to NBBE). Lithuania: Dr. Viktorija VaiÜvilaite (email: viva@centras.lt ), Chairwoman of the Lithuanian Psychodrama Society (LPS), writes: Psychodrama training started in Lithuania in 1996, with 15 participants, professional psychologists and psychiatrists . Our teachers were Friedel Geisler and Hildegard de Byl. Since the middle of 1999 we were trained by Friedel Geisler. At this point, our small group hasn't yet organized special procedures for selection of candidates. People's motivation seems to be assessed on an ongoing basis in the process and their being willing to work on personal themes. We've had special seminars over the years, led by Dorothy Langley (Great Britain), Goran Hogberg (Sweden), Laila Kjellstrom (UK), Sonja and Helmut Beloch (Germany), Antony T Horwood (UK), Yaacov Naor (Israel), and Ulrike Behrmann von Zerboni (Germany). In 2000 - 2002 we also participated in special music seminars ( Kleine Sommerakademie) led by Friedel Geisler and Friedemann Geisler. There we used to work on synthesis of psychodrama and music. In January, 1999, we organized the Lithuanian Psychodrama Society, with the goal of spreading information about psychodrama and fostering the method's applications. The members of our Society lead workshops in practical seminars for psychotherapists and apply psychodrama as a method in student's self-knowledge groups and therapeutic groups as well. Thanks to all this activities Lithuanian citizens learn about psychodrama more and more. Three workshops of Lithuanian leaders were presented in the Second Baltic Moreno Days in Latvia, Jelgava on 22-24 of August in 2002. The attitudes of professionals to psychodrama are ambivalent in Lithuania now, but it is recognised on the official level. PSL is a member of Co-ordination Council , who co-ordinates and represents the interests of psychotherapeutic community in general. In 2000 the book Psychodrama: Roots and Possibilities by Friedel Geisler was published as the first book on the method in the Lithuanian language. Members of our Society had done a big job in the process of translation and publishing. 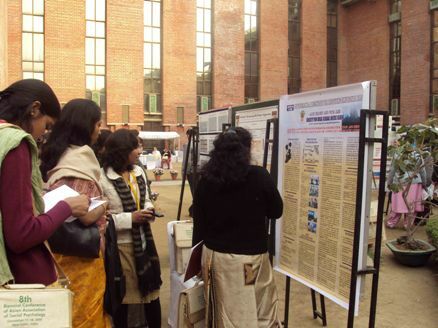 It was very important event , because we felt the lack of literature in our native language. Basicaly there are translations of books into Russian, and most of us know Russian very well , but the younger generation doesn't. The books in English are not always available and are very expensive to us. In 2001 PSL entered to PIfE (Psychodrama Institut fur Europe, Germany) as an institutional member, with the intent of enlargening international relationships and seeking of higher level professional knowledge. In the end of 2003 nine persons are ready to finish the third level of the training. Another group just started the training with leader Friedel Geisler and co-leader Christoph Hutter. Again, we are hosting the forthcoming 3rd Baltic Moreno Days (as mentioned above). Malaysia: Dr. Gong Shu (email: < gong@artsci.wustl.edu > ) wrote that in June, 2002 she presented in Singapore to large audiences, made videos in Chinese and English, and plans to present to the Pacific Rim Conference of the International Association of Group Psychotherapists in Singapore again in early March, 2003, on the topic of "Yi Shu: Psychodrama and Traditional Chinese Energy Medicine." came, to get acquainted with psychodrama for the first time, did not go away disappointed! 2005: The last (Fifth) Ibero-American Conference was held in Mexico City, May 5-7, 2005. Rosa Cukier of Brazil reported: <rosacukier@uol.com.br>: Around 450 to 500 people attended the Congress, from 11 Spanish and Portuguese speaking countries : Argentina (40), Brazil (70), Chile (15), Colombia, Costa Rica (12), Cuba (1), Ecuador, Mexico (350), Portugal (3), Spain (4), Uruguay (4), Venezuela (4). The biggest delegation was from Brazil - around 70 colleagues, and the smallest from Cuba - just one colleague because some others were prohibited by the government to leave the country. There were also some pre-congress workshops attended by about 100 people. August, 1999: Carolina Becerril ( rolina@mpsnet.com.mx) , writes that for most of the last fifteen years, psychodrama was taught by Jaime Winkler and his wife, Carmen Bello. More recently, she began training, using largely Dalmiro Bustos’ approach. She has presented recently at the AGPA conference and will again next February on using psychodrama for transcultural conflicts. Giovanni Boria, of Italy, has also begun to train in Mexico City. also notes that recently he’s been active in establishing a third training program in Mexico city! If you have some news that should be added here, or corrections, please email me!